Tired of average removalists Crawley service providers that make too many mistakes during house removal? If yes, you should consider hiring Jaco Removalists because we plan every removal job down to the last detail, and this in turn allows us to execute removal jobs with great accuracy. You can contact our removalists Crawley team for other removal jobs as well, like office removal, interstate removal, piano removal, etc. As a matter of fact, we provide all kinds of removal jobs. Our removalists Crawley professionals will take care of everything, from planning to packing, loading to unloading. We understand how you value your belongings and that’s why we don’t let untrained hands touch your stuff. All our removalists Crawley professionals undergo rigorous training so that they become adept in carefully handling all kinds of items, from delicate to electronic items, heavy to light items. Jaco Removalists is open on all days, including weekends and holidays. In addition to highly trained removalists Crawley experts, we have on board a fleet of advanced removal vans and trucks, along with specialized equipment for moving special items like a pool table or piano. You can count on our removalists Crawley team to provide you a full range of removal solutions. We are your one-stop shop for all removal needs, be it interstate removal or local removal, house removal or office removal. Our team will never shy away from walking the extra mile to serve you better. We always aim for hundred percent customer satisfaction and never settle for anything less. Our removalists Crawley team has several years of experience and can handle different removal tasks with utmost ease. We take the anxiety and stress out of your moving experience. When you hire us, you enjoy complete peace of mind because we do everything in a structured manner and discuss the schedule with you in advance. Unlike several other removals Crawley service providers, Jaco Removalists never charges any hidden fee. 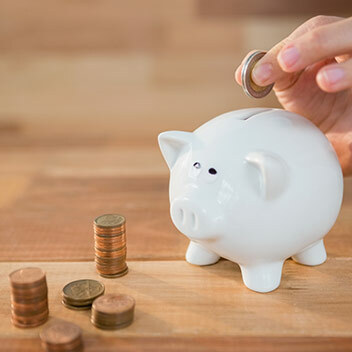 We provide you a no-obligation, free quote when you contact us and that is the amount we charge you, unless you request for additional services in between. Besides helping you move houses or offices, our budget removals Crawley team can also help you with ad-hoc requests. For instance if you want to move some items from your house to another nearby location, you can use of man with a van service, which is just ideal for such needs. 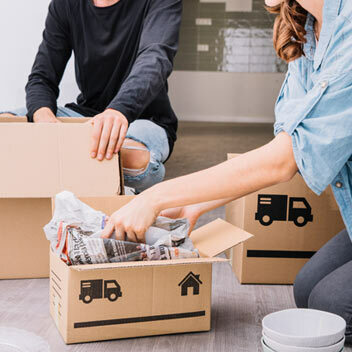 House Removalists Crawley – If you are moving to a new house, you can count on our expert team to safely transfer your stuff to your new home, irrespective of how far it is from your present location. Office Removalists Crawley – Relocating an office is several times harder than moving to a new house, especially if you have servers on site. With that said, our furniture removalists Crawley have years of office relocation experience, and can help you relocate to a new office with minimum hassle. Furniture Removalists Crawley – Moving furniture from one place to another is never easy, more so when you stairs are involved. However, you don’t have worry to about anything if you hire our removalists Crawley professionals who have handle all kind of furniture removal jobs in past. Interstate Removalists Crawley – Jaco Removalists offer removal services all across Australia. Piano Movers Crawley – There’s no such thing as an easy and straightforward piano removal job. This is mainly because the piano is delicate as well as often heavy. Our removalists Crawley professionals specialize in piano removals, so when you hire them, you enjoy complete peace of mind because they know what they are doing. Pool Table Removals – Pool tables are not only heavy but also might come in different sizes. Our removalists Crawley professionals can handle pool tables of all sizes and makes. Man with a Van Crawley – Do you want to move just a few blocks away? Do you want to send some items from one place to another? If yes, you should check out our man with a van service. Best Removalists Crawley professionals – Our furniture removalists Crawley specialists are our best assets, because they are the one who ensures your stuff is moved to the new place seamlessly without any inconvenience to you so that you can stay anxiety- and stress-free throughout the removal process. Our furniture removalists Crawley have years of experience under their belt and are adept at all kinds of removal jobs. Best equipment – We understand better than others that even the best furniture removalists Crawley specialists can’t do their job well if they have poor equipment or sub-standard removal vans and trucks. That’s why we ensure that we use only the latest removal vans and trucks and equipment. No hidden fees – We know how bad it feels when a removalist Crawley provider charges any hidden fees. That’s why we have kept our pricing completely transparent. You are given a free quote at the beginning. This is what you are charged. And if you request for some extra service from Jaco Crawley removalist specialists, you price is adjusted accordingly and you are informed this immediately. Initial Enquiry – This is the first step in which submit your enquiry with us. If required, we will ask you for more information or even arrange for a survey. Once our movers Crawley team has all the necessary information, we will move to the next step. Setup the moving date – Once you’ve decided to use our services, we will ask you to pick a moving date that suitable to you and confirm your booking with us. Moreover, Jaco movers Crawley is available throughout the year, so you don’t have to worry in case you plan to move during holiday season. Moving your stuff – On the moving day, Jaco movers Crawley team will reach your place early in the morning. The foreman will brief you about the day’s schedule. Our removalists professionals will pack and load your stuff and you will get an inventory sheet to file to confirm all the requested items have been loaded up. Follow-up call – After delivering your stuff, our cheap movers Crawley specialists will give you call to ensure you don’t need any further help. In addition to this, Jaco movers Crawley will also ask you to provide us with a detailed feedback. Jaco Crawley Removalists WA (Western Australia) is cut above the competition—and for good reasons. Here are some qualities which makes us the favorite removalists Crawley team. Experience, talented staff – Our removalists Crawley team comprises of experienced and talented removalists, who are equally adept in home and office removal. Full range of removal services – From home removal to office removal, local removal to interstate removal, and piano removal to pool removal, we offer all kinds of removal services. Jaco Crawley Removalists have an appropriate solution for all your removal needs. Best quality service and affordable price –Jaco Crawley Removalists services are second to none and our prices are extremely competitive. Our affordable prices have given us the title of cheap removalists Crawley.